I'm feeling really inspired by the colors of the ocean in the Caribbean. 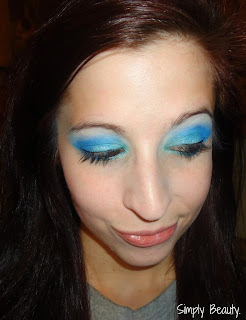 Thus, I wanted to use some of my most favorite & brightest blues to do a look. It really makes me think of the clear blue waters of the Caribbean. those are some beautiful blues! This is gorgeous! I love the blue overload!